Whether you’re in the search of a Boho vintage dress, a unique belt buckle, or maybe even a cute vase for your collection of trinkets, any flea market is the place to be. Everyone is looking for their own great deal. But one English lady unknowingly picked out something quite remarkable at a “car boot sale” at West Middlesex Hospital, London, in the 1980s. What she believed to be a piece of costume jewelry made the headlines 30 years later. It was just a regular Sunday sale when the woman bought a ring she fancied for £10 ($13). She wore that ring for the next 30 years, shopping, working, running errands, until she discovered, to her astonishment, it was actually set with a 26-carat diamond that was cut in the 19th century. The stone was confirmed by the Gemological Institute of America as a genuine diamond. The ring was placed in a bundle of low priced trinkets when she bought it. She never for a moment suspected it could be real diamond because it’s appearance wasn’t sparkly enough. So, no one bothered to find out anything extra about this possession until one day a jeweler laid his eyes on it. 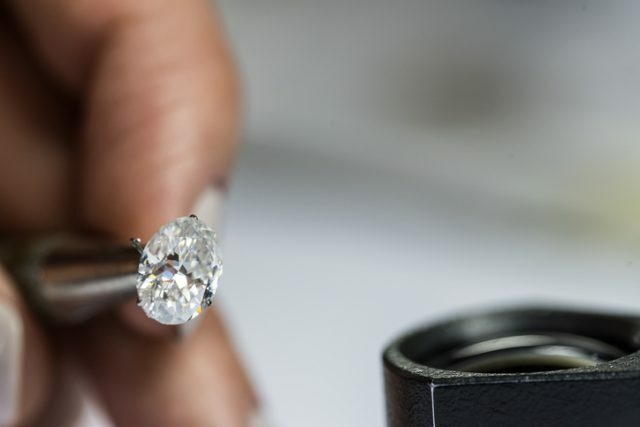 Reportedly, the woman was told that the ring looks to be more valuable than a regular costume ring and the jeweler suggested she took it for further examination at Sotheby’s. At the jewelry department, Wyndham and her colleagues were quite excited by the size and unique geometric chevron design of the cushion-shaped stone. 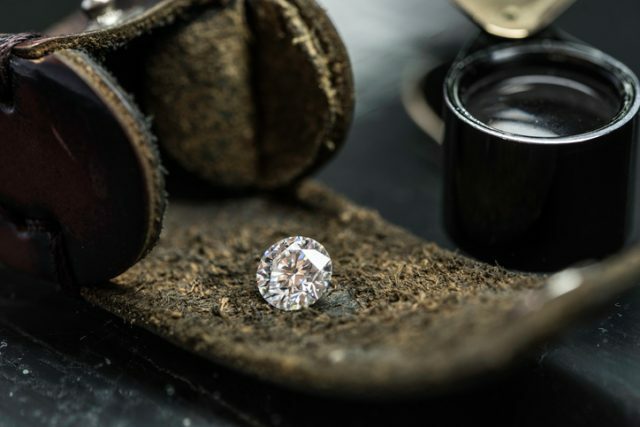 They strongly suspected that they were looking at a genuine old cut diamond, however it’s authenticity needed to be verified by a formal analysis. 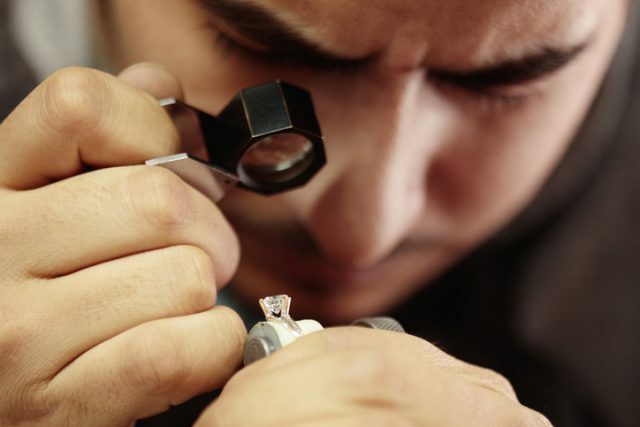 Old cut diamonds were crafted by hand, working with the natural shape and alignment of the rock. Sotheby’s passed the ring over to the Gemological Institute of America to confirm their assumption. 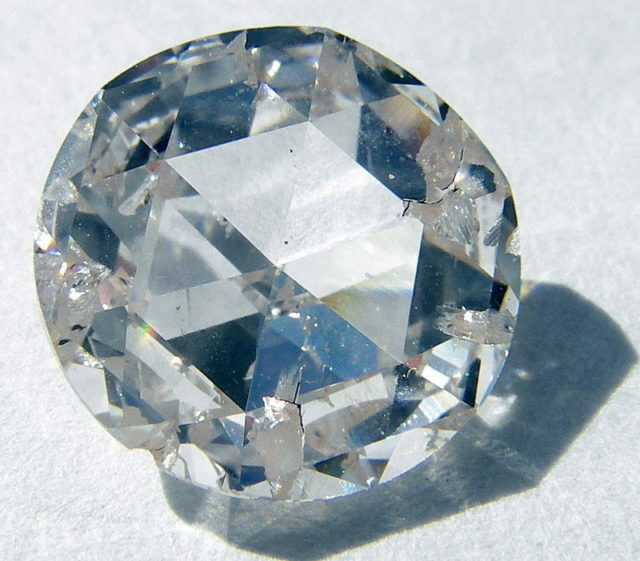 The 26.27 carat diamond was cut in a typical 19th century style that didn’t reflect as much light as modern cut diamonds. Gems from this era have a deep and warm finish that reflect the light in a different way than the brilliantly polished surface of modern cut diamonds. The appearance of these diamonds might seem to glow rather than sparkle, but definitely shine with beauty and individuality. Modern cut diamonds reflect the light with a captivating brilliance. Except for the date of its origin, not much more is known about the history of the diamond ring. 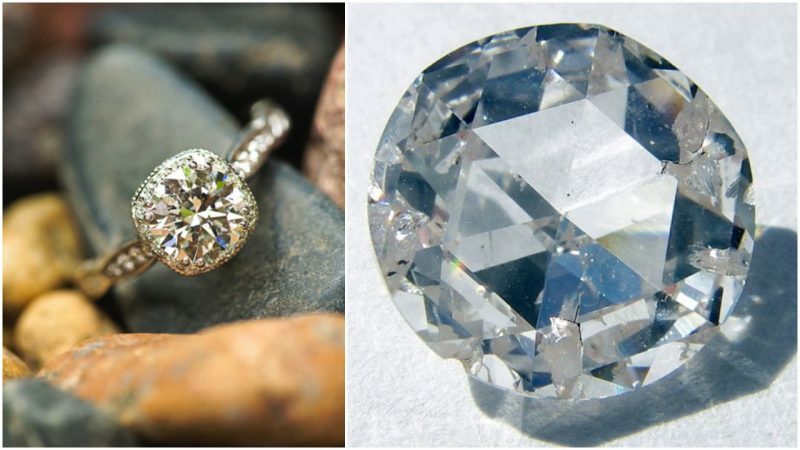 Wyndham explained that when a diamond is mentioned today, people mostly think of modern cuts, of brilliance, while this “flea market ring” was cut into a vintage style and its mount had darkened over time. 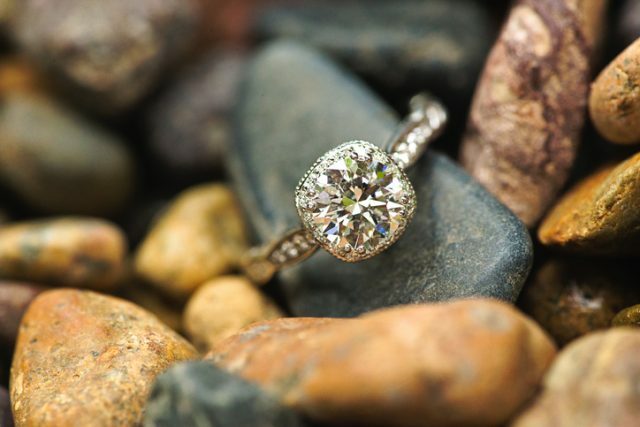 White engagement ring on the beach. 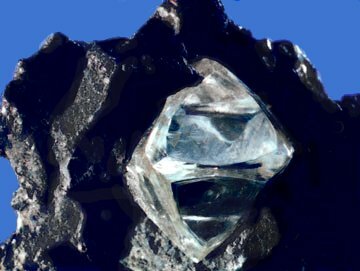 This astounding diamond find is not the first item to be regarded as run-of-the-mill that was later revealed to be a real treasure. Similarly undervalued objects have been found at flea markets around the world in the past. CNN Style tells the story of a yard sale in 2013 when a ceramic bowl was purchased for $3 but later sold for $2.2 million at an auction in New York. Also, a real Faberge egg, once owned by Tsar Alexander III, was sold as scrap metal but then sold for $33 million.